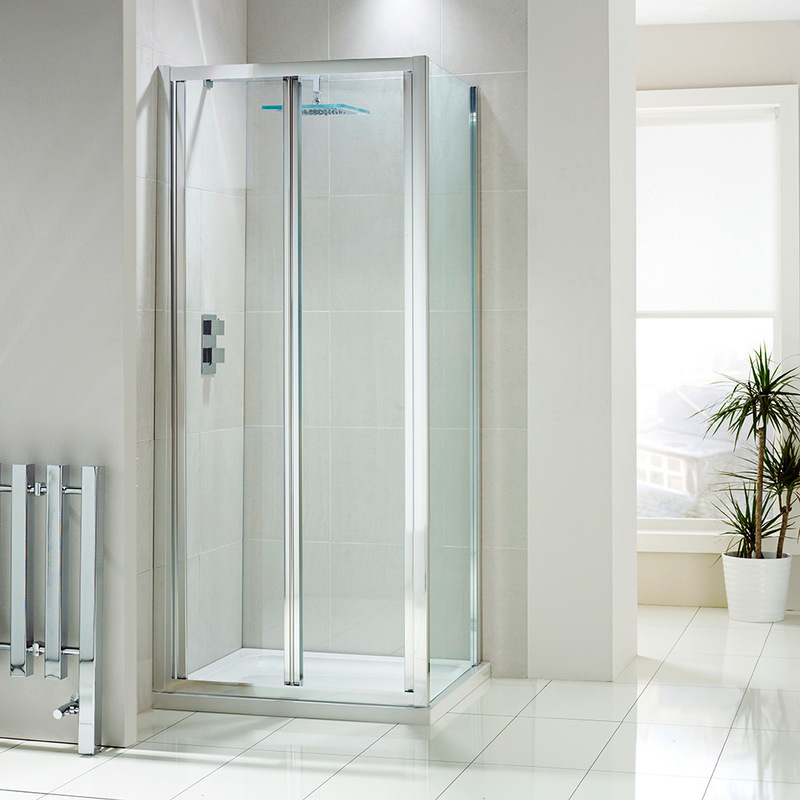 This is the only bifolding shower door we know of that includes easy clean coating protection. With all the moving parts on a bifold this is a real plus point that will save you hours of cleaning. The Aquaglass from Frontline Bathrroms is available in 5 sizes from the compact 700mm to the largest 1000mm shower door, perfect for any recess space. 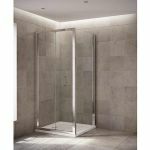 The thinner 4mm glass allows for easy operation of the door yet is thick enough to give a robust feel in use. The image shows the bifold with the optional frameless side panel which you can use to make a full corner enclosure space. The adjustment range of both the door and panel allows this design to be fitted in most spaces below 1000x1000mm. 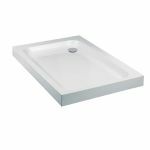 A robust and attractive design with nice touches such as the concealed fittings and magnetic closure, a cut above the standard fair on the market.